The underlying trend in nonfarm payroll growth is closer to its six-month moving average of 195,000 compared to the outsized October gain of 237,000 and the softer November gain of 155,000. Still, monthly job growth around 100,000 is all that is needed to keep the unemployment rate unchanged. The Household Survey reflects these trends. The labor force rose by a strong 2.24 million year over year in November, keeping the overall labor force participation rate at 62.9 percent, firmly inside its stable 62.7-63 percent range. 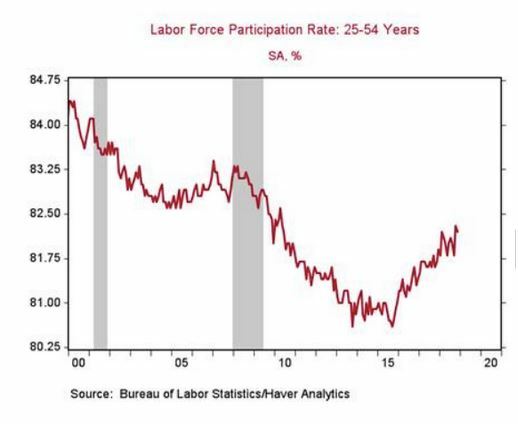 Economists had expected that the overall labor force participation rate would continue declining but increases in participation among the prime working-age has countered the downward pressure from the aging population. The goods-producing sector added 29,000 jobs, led by the manufacturing sector (+27,000), which has added a robust 249,000 jobs this year, already surpassing the 2017 total of 207,000. The continued strong gains in manufacturing employment are in line with the optimism in regional and national manufacturing surveys. 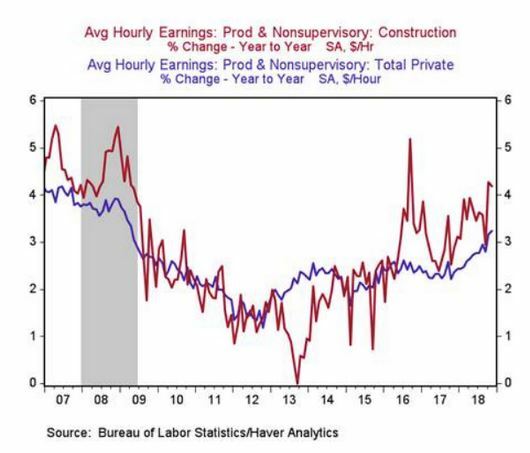 Construction employment increased by only 5,000 jobs in November thanks to a shortage of labor in the sector that is reflected in the above-average earnings growth for its production and nonsupervisory workers. The mining sector shed 2,000 jobs in November and its two-year run of solid job gains in mining may stall given the steep drop in oil prices. The service-providing sector increased its payroll by a slightly below trend of 132,000 jobs (the six-month moving average is 147,000). 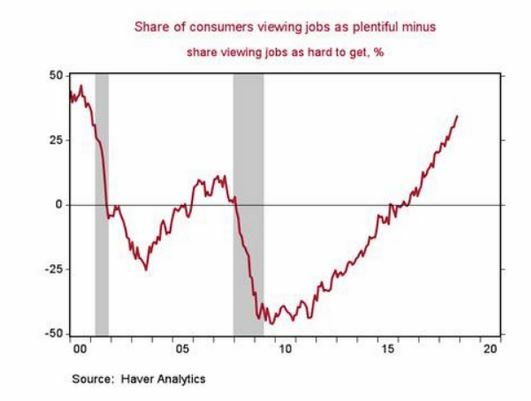 The solid gains in retail (18,000), couriers and messengers (10,000), and warehousing and storage (6,000) employment bode well for the holiday shopping season which we expect to be strong. The aggregate weekly payrolls—which combines average hourly earnings, average weekly hours worked, and employment—rose by a slight 0.1 percent month over month as average weekly hours worked dipped to 34.4 from 34.5, providing slightly less support to consumption growth than expected. The details of the November jobs report are broadly reflective of a labor market in good shape, despite increased financial market volatility, and trade and geopolitical uncertainties. This keeps the Federal Reserve on track to increase the Federal funds rate at its December 18-19 meeting.